Teleria Zed flannel trousers 98% wool and 2% elastane with zipper and hook closure, elastic waist and drawstring adjustment. Without belt loops. Finished with a turn on the bottom measuring 17 cm. 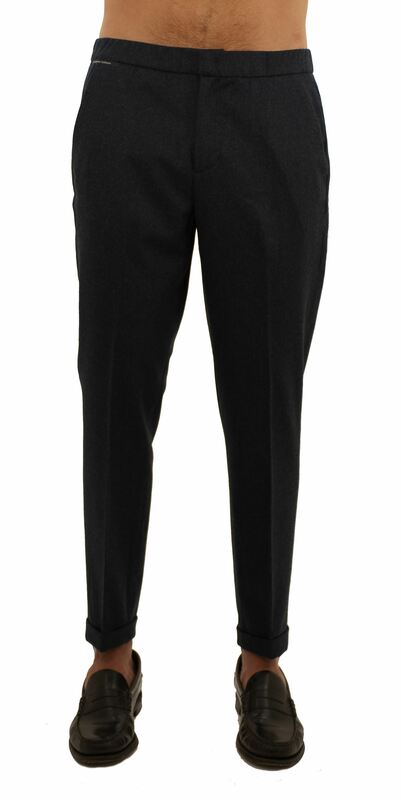 These modern cut trousers are suitable for those looking for a comfortable item to wear in a classic wool flannel fabric.